Buy your official L.I.S.A T-Shirt here! Available in a range of sizes embroidered with the L.I.S.A badge to the front and "Lady Imps Supporters Association" on the back. Available in black or red, v neck style, price includes delivery where required - limited stock only. L.I.S.A Events are getting some what of a reputation, thankfully a good one! 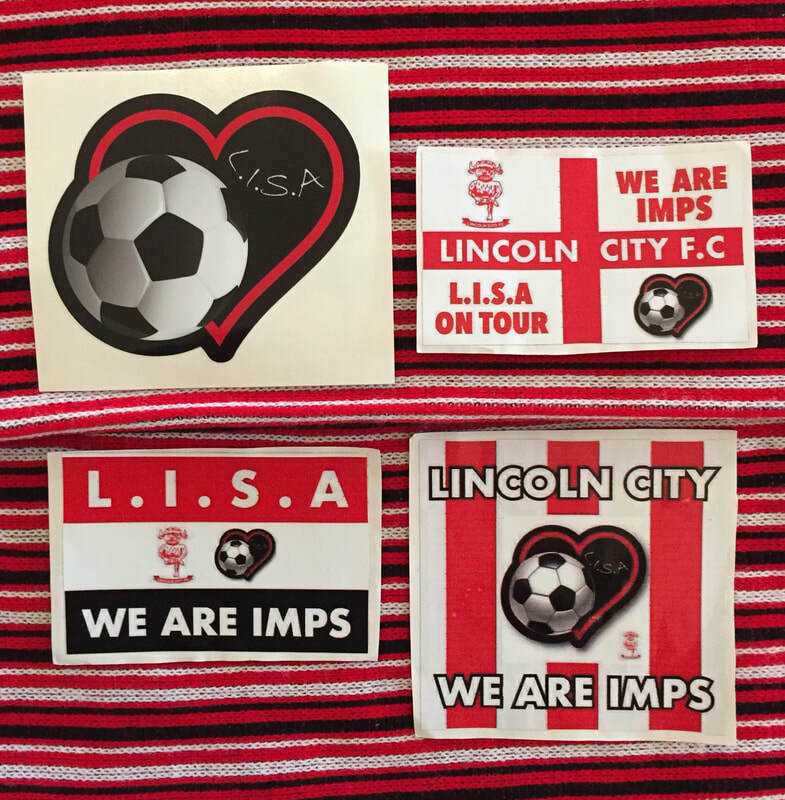 Check out our planned events where together with fellow Imps you can extend your enjoyment of all things Lincoln City - live music, food and guest speakers all included! Help us raise awareness and celebrate L.I.S.A by purchasing one of our fab sticker packs. The sticker pack (5 stickers) is comprised of a L.I.S.A heart car sticker, a regular L.I.S.A heart sticker and 3 L.I.S.A fun stickers! L.I.S.A uses the secure online payment system, Stripe. All major debit and credit cards along with Apple Pay and Android Pay are accepted. Thank you for your support. Please contact us with any questions or information you may require. L.I.S.A is a "not for profit" organisation.